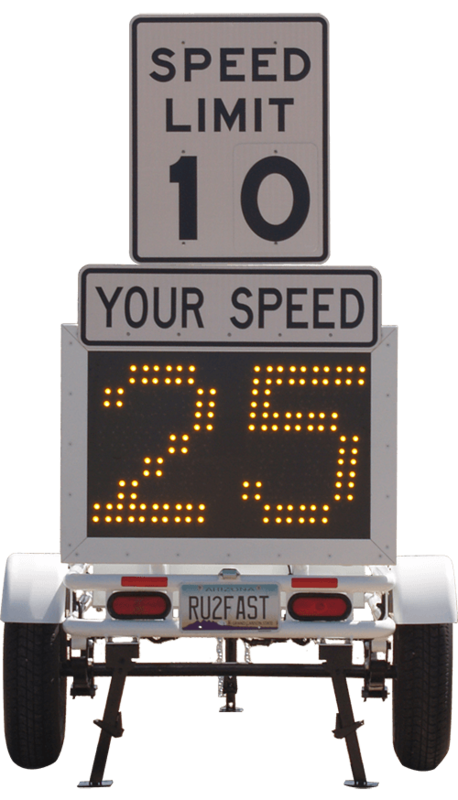 Radar Speed Signs | Radar Trailers | RU2 Systems, Inc.
RU2 Systems, Inc. is the source of the widest line of highly innovative, top quality radar speed signs and radar trailers on the market today. In addition, we make data collection products to assess whether safety enhancement and speed enforcement programs are effective. RU2 Systems Inc. products are being used by construction companies, law enforcement agencies, traffic engineering offices, property management companies, and public works departments. And we have products placed Asia, Australia, Canada, and other international sites. for All Your Traffic Calming Needs! Here at RU2 Systems, Inc., we are committed to providing the equipment you need to monitor and control traffic patterns in your area. We offer radar controlled speed limit signs that will alert drivers to how fast they are driving and allow you to monitor the flow of traffic. RU2 Systems Inc. is a MADE IN THE U.S.A. Company. Our products are designed here, and built here. We design and build radar signs, radar trailers, and VMS trailers to help keep our roads and highways safer from speeding vehicles. 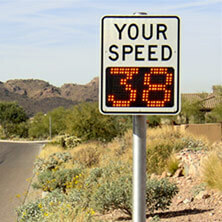 Wherever your needs are to make drivers aware of their speed, we make a device to fit your needs. 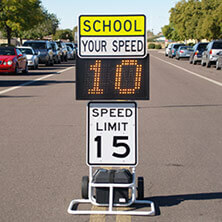 Our speed display signs are permanently mounted in schools zones, play grounds, and residential arias were speeding can be dangerous. The radar speed trailers can be easily moved to trouble places as needed. Our Variable Message Sign trailers are designed for multiple use functions to give communities the biggest bang for the buck. 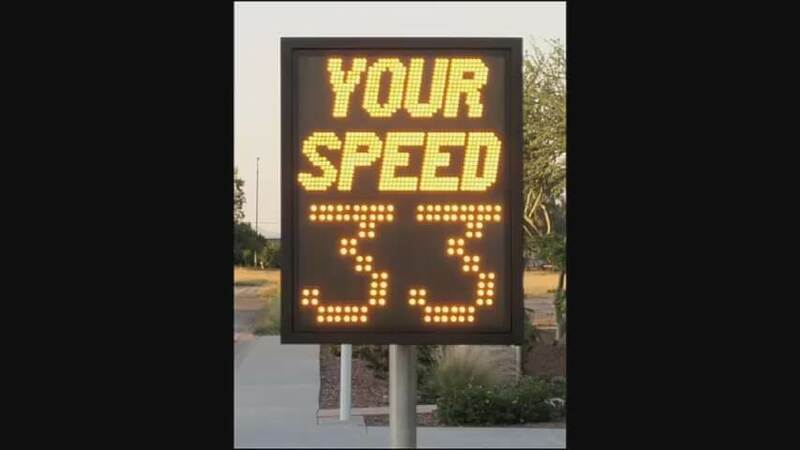 They may be used as a speed feedback sign or as a variable message trailer. It is capable of notifying the public about events, safety hazards, or even animations promoting local support. Alerting drivers to their speed shows positive results in enhancing safety, calming traffic, and improving traffic flow. Almost any roadway can benefit from better traffic patterns-a fact that police departments, highway construction companies, and many other clients have realized. 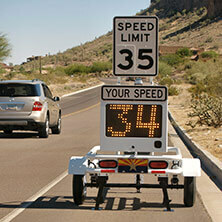 There is no doubt that radar speed signs make our neighborhood streets and highways safer. 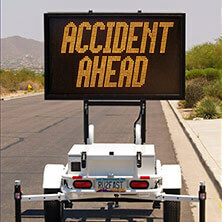 We know our clients need radar signs for a variety of types of roadways. And that is why RU2 Systems, Inc. manufactures so many different platforms, from our SpeedBoss Radar Dolly for Powered Industrial Traffic to the imposing Fast-3450 VMS, a heavy duty product ideal for use on highways and streets where speeding is a problem. We offer not only radar signs and VMS signs, but also Data Collection, Video Capture, Installation Accessories, and Equipment Refits to assist our clients in using information collected to improve traffic flow by increasing the consistency of drivers speeds. Our data collection technology collects information on drivers speeds, as well as consistency between drivers and numbers of drivers. This information provides traffic engineers with valuable data for future roadway designs. Satisfaction is guaranteed with RU2 Systems products. We take pride in our American design and manufacturing processes. It is our goal to exceed your expectations with the consistent quality, value, and professional service you deserve. Our products are made with only the highest quality materials. Contact our staff today to discuss your traffic control needs. Whatever your traffic calming needs are, RU2 Systems can have a solution for your community.